As a Shoelover, I tend to shop at DSW most of the time. However, after taking a trip to the mall with my friend Genell, we ended up in Aldo, a shoe store I rarely frequent. But, on this particular night I’m glad we stopped there because 1) I received GREAT customer service (shoutout to Von at Aldo) and 2) I purchased my first pair of fall shoes for 2015!! I LOVE the color and the high collar design on the back of the shoe. 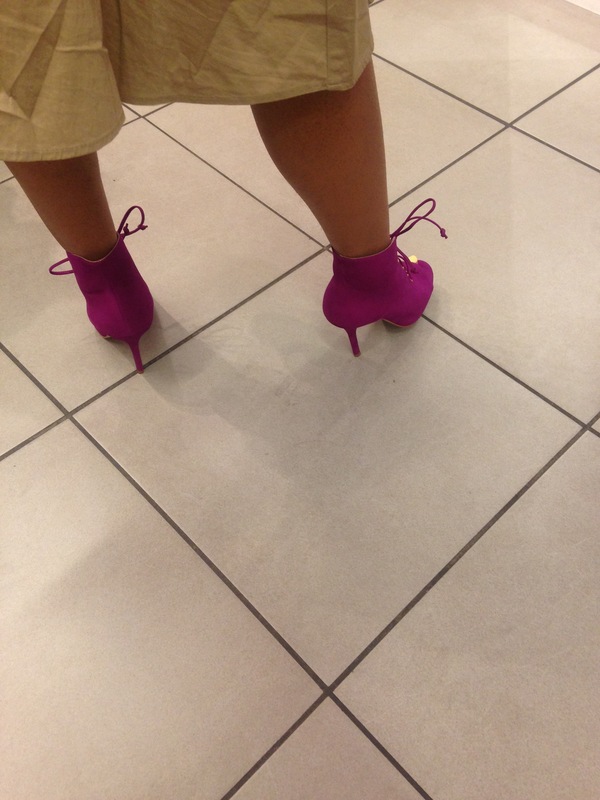 (Can I just add that I think my toenail polish color makes the shoe pop, and no it wasn’t planned). I am looking forward to styling these shoes with skinny jeans, skirts, and using them as a pop of color for a basic outfit. The sales associate, Von, was very helpful. 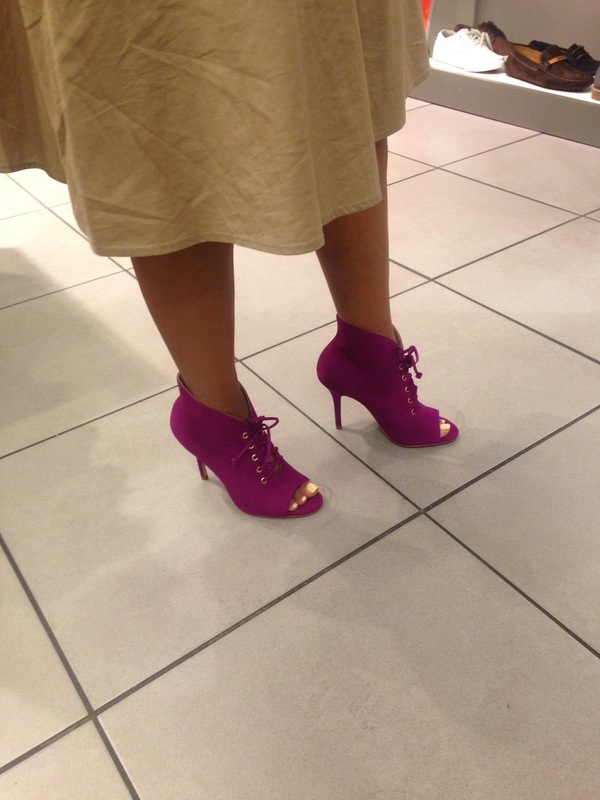 His styling tip suggestions along with Genell’s approval sealed the deal for me to add these shoes to my collection. Von even reminded me of the importance of using protective cleaner for my suede shoes. As the fall of the year nears, I I will report back on how the cleaner works, so stay tuned!! Thanks to Genell and Von, and for all my shoelovers, Happy “Shoes-Day”! !